Select a Motability Brand John Clark is a licenced dealer and Motability Partner for the following manufacturers. Adaptations Adapt your Motability vehicle, to the life you lead. Our Locations To find your nearest John Clark Motability dealership, simply enter your postcode or location. We look forward to meeting you! If you're looking for a new car, and are eligible for the Motability Scheme, you can benefit from access to the Motability departments at all John Clark dealerships. We're located in Aberdeen, Dundee, Perth, Dunfermline, Kirkcaldy, Stirling and Edinburgh. You can choose Motability vehicles from every dealership, allowing you to select the car that is best suited to your own requirements. 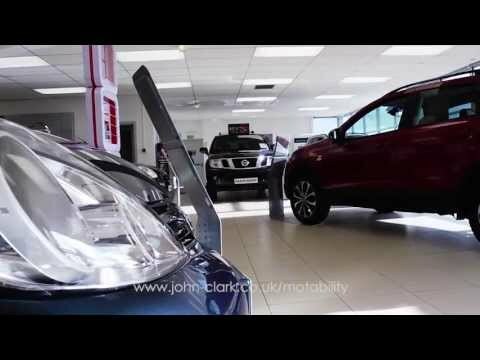 John Clark is a licenced dealer and Motability Partner for the following manufacturers: Audi, BMW, Dacia, MINI, Nissan,Renault, Peugeot, SEAT, ŠKODA and Volkswagen. The huge range of vehicle segments offered by these brands means that if you need a spacious urban vehicle, like the SEAT Atea, we can help. We can also assist you if you require a smaller vehicle with easy access, such as the Nissan Micra. Once you've chosen your Motability car, and have confirmed your eligibility for the Scheme, our Motability experts can help adapt the car to suit your specific needs. Most typical adjustments can be made on site while you wait. All of our dealerships across Scotland have their own Motability specialists, so whatever your location, John Clark is well-positioned to help you find a suitable vehicle. Contact John Clark's Motability specialist team for further information about the Scheme, and the outstanding range of Motability vehicles available from our dealerships.